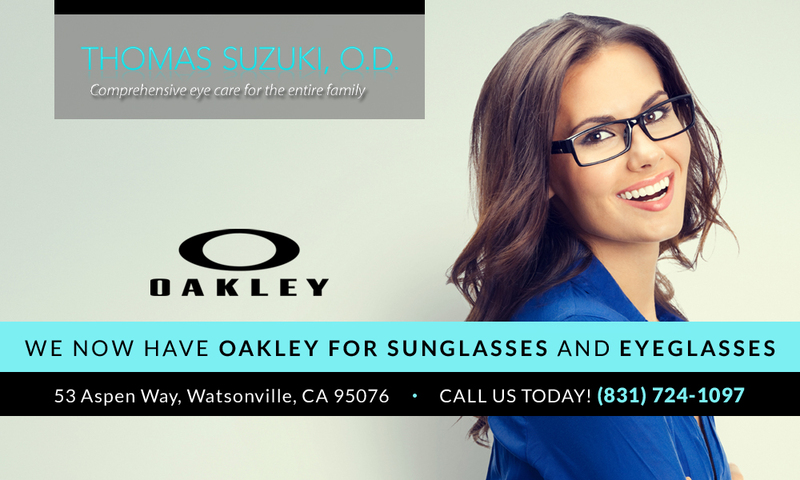 Optometrist in Watsonville, CA | Thomas Suzuki, O.D. Welcome to the Optometry Office of Dr. Thomas Suzuki! At Dr Suzuki’s optometry office in Watsonville, we have a wonderful team of professionals who will make your visit to our office a pleasant one. We provide precise eyeglass and contact lens prescriptions for your eye health needs as well helping you finding that perfect pair of glasses to look your best. You will find our front desk staff warm, friendly and most of all, helpful. They are happy to assist you in understanding your medical and vision insurance coverage. Our optical team will show you the latest styles and trends in eyewear. Using their experience and expertise, our opticians will help you select the style, shape and color frame that is just right for you, as well as the latest in lens technology. Such a wonderful optometrist office with wonderful staff and Dr. Suzuki is the best! They have a great program for children who are switching to contacts where they offer classes on how to use and care for contacts. Been going here for years and is still a wonderful experience. Staff is kind, I love that they get you in and out fast. I love this place. I have been going to the same optometrist for about 12 yrs & I wouldn't have it any other way. All thee employees are super friendly & nice. Including my optometrist who's always greeting you with a smile. I always recommend this place to friends, family, or strangers. Check them out you won't regret it. Terrific staff and all the latest in modern eye care technology.